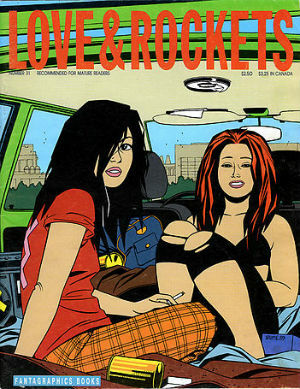 That’s right: Love and Rockets Jaime Hernandez, in conversation with Charles Hatfield, author and professor at CSU Northridge. That’s about all we can tell you now (really, isn’t that enough??) BUT our official Facebook event page launches this Thursday with more information about events, panels, workshops, and all the fun stuff. We are really getting excited for February and we hope you are too!